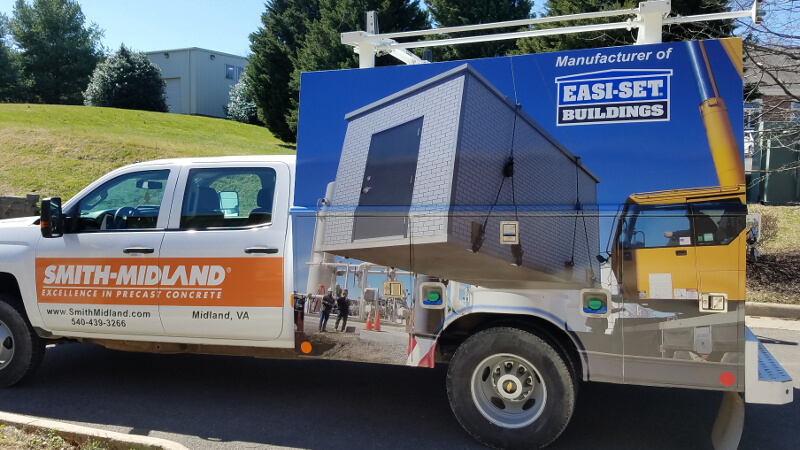 For the price of a couple of newspaper ads, you can turn your vehicle into a rolling billboard and build awareness for your firm on every trip, all year long. Basic Door Lettering and/or Graphics installed on doors of a vehicle and used for basic identification. Van / Truck Graphics incorporate larger visual areas and creative use of vehicle surfaces. 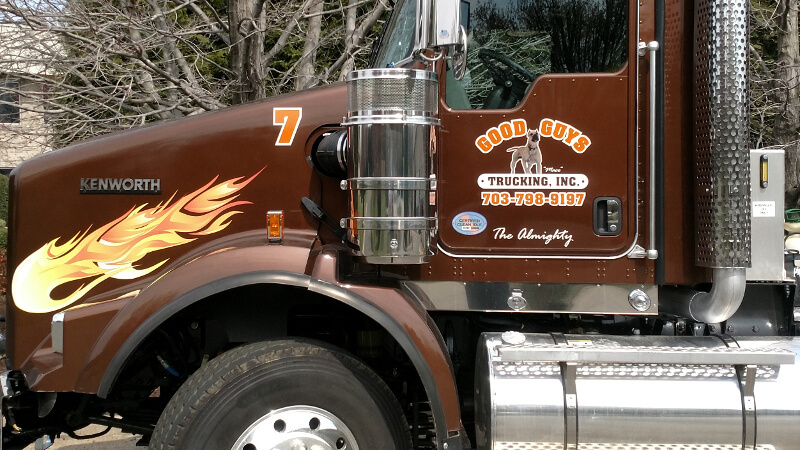 Vehicle “Wraps” are graphics that completely cover the vehicle. These packages bring the most impact and highest visibility to a vehicle. 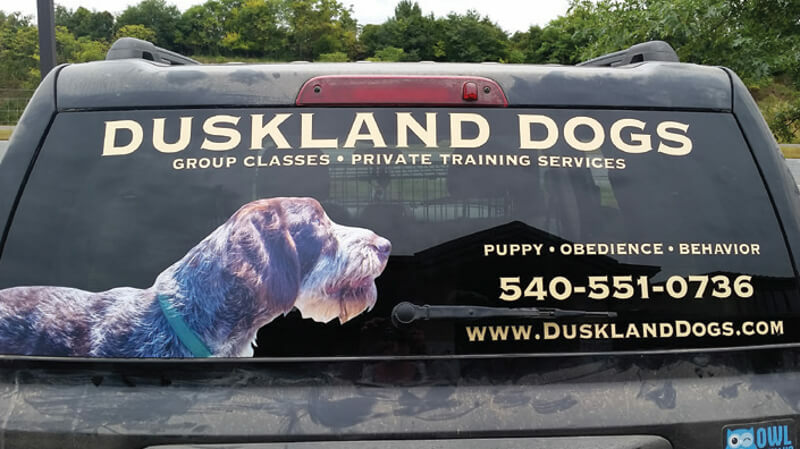 Rear Window Shades are printed on perforated vinyl material that allows you to see out while displaying a graphic or message to the cars behind you. our work on the road! An unbelievable rate of $.15 per 1,000 impressions! All of our vehicle applications use high performance vinyl material with almost no limitation to the graphic elements that can be used. 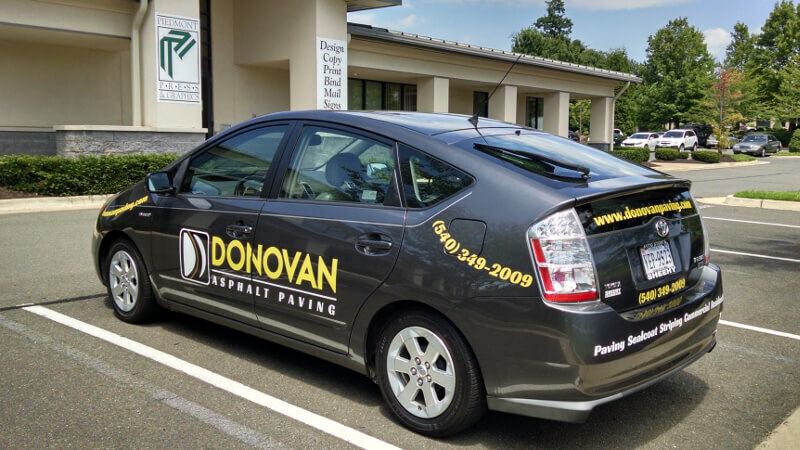 Vehicle wraps are laminated for strength and all are color fast for at least three years.